Wooden yacht built in the shipyards of Alexandria in September 1995. Specially made for middle haul diving cruises, mainly departing from Hurghada. 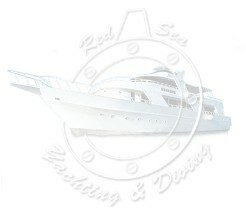 Very renowned for the professionalism and experience of his Captain and Crew. Guaranty for a high level Liveaboard, thanks to the high knowledge of all Dive sites. Well equipped and organized for the diving activities. MAIN DECK: 3 bathrooms with shower, dive gear storage. DIVING EQUIPMENT: 12 lt. Aluminum tanks mono valve DIN/Int. COMPRESSORS: 2 Bauer Mariner - Nitrox from membrane N.R.C. life raft and life jackets, fire extinguishers.